Planning on visiting the beautiful city of Zurich? 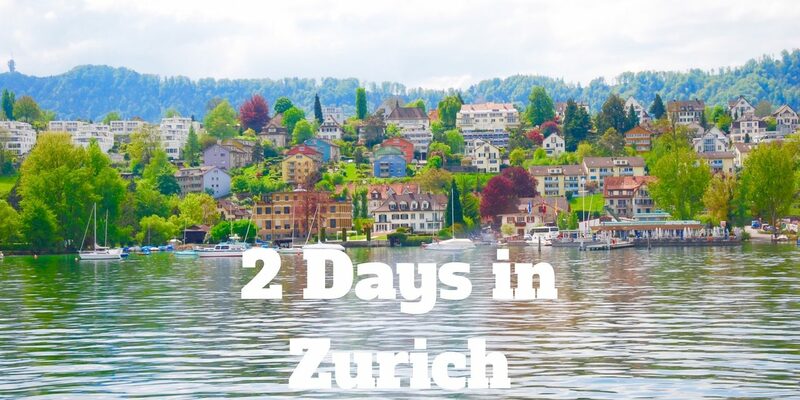 Well, then this post is perfect as this Zurich itinerary will help you planning your Zurich trip – whether you are in Zurich for 1, 2, 3 or 4 days. These tips will create the perfect itinerary for Zurich. Without question, Switzerland is one of my favorite countries ever. Although I fall in love with many of the places I visit, there’s one place I love a little bit more than the other places I have visited in Switzerland, and that is…Zurich. There is so much to do in Zurich and so many beautiful places to visit that I enjoy returning to. Zurich is the biggest city in Switzerland and a must-see place. If you plan a visit to Switzerland, you should definitely add a trip to Zurich to your itinerary, and I am sure you will not regret it! In the last eight or nine years, I have visited Zurich as many times and I cannot get enough of it. It is one of those places that makes you feel at home because it is so peaceful and pretty. Because it is small, you won’t get lost, but it is not so small that you will feel bored. There are a lot of cafes and restaurants as well as lots of opportunities for shopping, in addition to loads of greenery and nature to surround yourself with. It is a city, small, but a city – and one of the best places to see in Switzerland (btw: here are more tips about the best things to do in Switzerland) and if you are asking yourselves questions like “What to do in Zurich?”, “Where to go in Zurich?” or just about the “Best things to do in Zurich” you will find all your answers in this post! Also, you will get some important Zurich travel information. But before I talk about the best Zurich attractions, I will provide you with some important travel information and so I have provided a Zurich pre-travel guide for you. 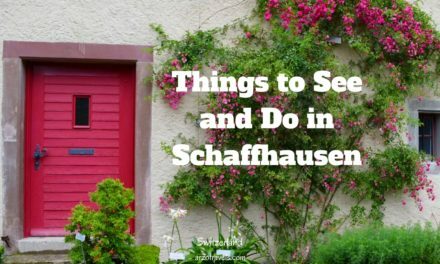 If you do not need that information just keep scrolling down and you will find my top tips for things to see in Zurich. Zurich is also very, very, very expensive. 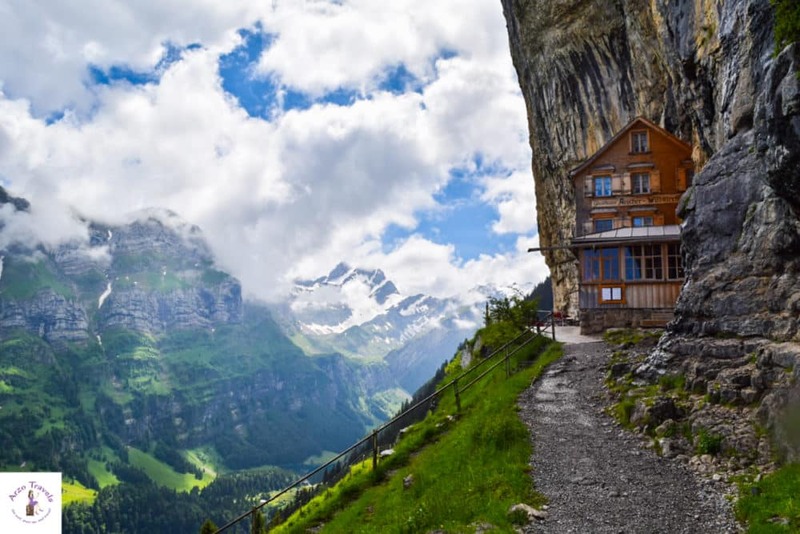 This is a fact that no one can ignore, however, I think it is still worth every penny (click here to read how you can save money on your Switzerland trip). 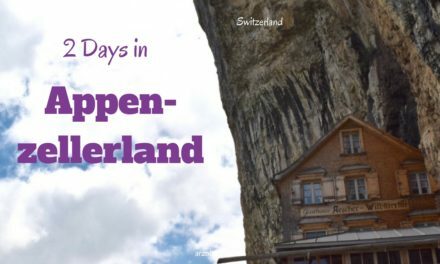 This is not a typical 2-day Zurich itinerary but the first ten things can all be done in 2 days in Zurich. If you have some more time (or decide to skip some of my suggestions, then I have a few more tips that you could so instead). 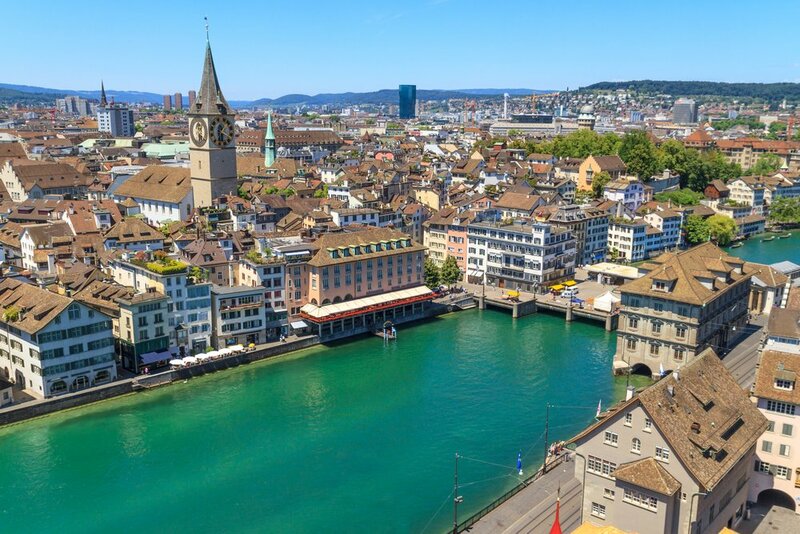 Before discussing your Zurich itinerary, here is some info for your Zurich trip – whether you stay one day, two day, five or seven days in Zurich. Let´s start with how to discover Zurich. 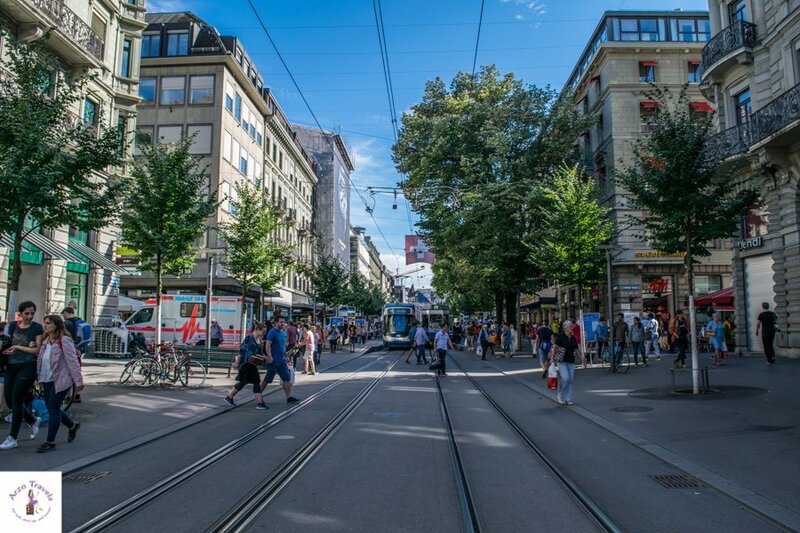 Zurich has amazing public transport – so I recommend getting around by tram/bus. 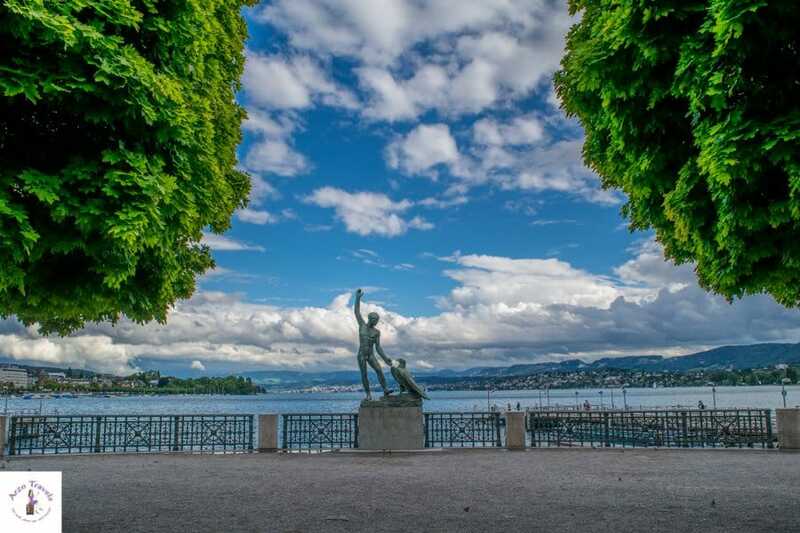 With the Zurich Card, you can use public transport and have free entry to almost all museums in Zurich which is great to explore much of the city. Public Transport is pretty good and you can rely on it. If you have a Swiss Travel Pass you will not need an extra Zurich Card. 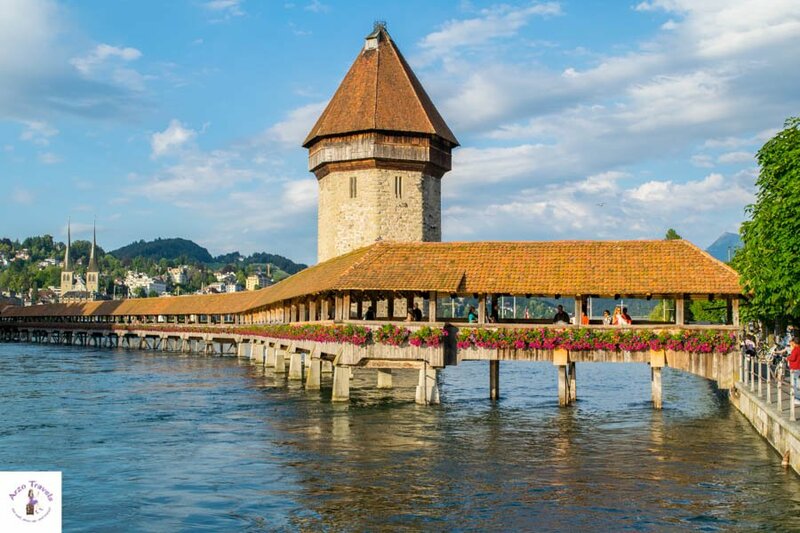 With the Swiss Travel Pass you can use unlimited public transportation, even use the boat, and get access to many museums and some attractions without any extra fee. 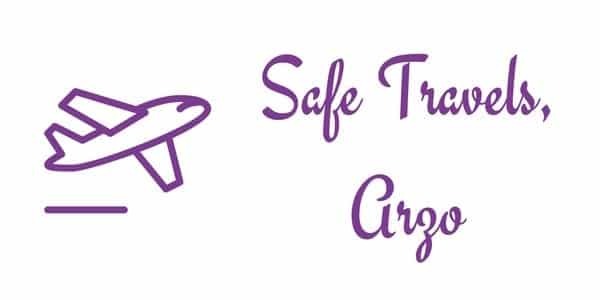 Click here to find out more about the Swiss Travel Pass. Click here to find out more and check out prices for the Zurich Card. While I have driven by car many times, it actually isn’t my preferred mean of transportation in the city. Traffic, expensive and limited parking spots make driving a bit problematic. However, public transportation is great, so a car shouldn’t be the first choice of getting around. One of the fun things to do in Zurich is to rent a bike and explore this beautiful town on two wheels. The best thing about it is…it does not cost a dime. Nothing! Not one cent, this news is awesome, right? I have to find a way how to make my dog stay in the basket so I can do some bike tours as well, but I am sure this is one of the cool things to do in Zurich. As mentioned, Zurich is very expensive, and there are no real bargains. If you need to budget, I recommend booking an Airbnb apartment (first-time users can save $$ by using my link). I recommend staying close to the city center but since public transport is pretty good, you can also book a hotel a bit further away and you will still be mobile. Most often, I stayed at the house of my friend who lives in Zurich, but I also stayed at Renaissance Zürich Tower and Mövenpick Zurich Regensdorf which I can recommend, though they are not very central (but since public transporting is great, it is fine to stay there in Zurich). Zurich has some great luxury hotels which are amazing to get spoiled and enjoy life. My full accommodation guide for Zurich is here. Dolder Grand & Baur au Lac & Storchen Zurich are some of the best-rated luxury hotels close to the city center. Hotel Krone & Arlette am Hauptbahnhof & Hotel Opera are some of the best-rated mid-range hotels close to the city center. Warning, there are not many budget hotels in Zurich, this one is a good-rated hostel in Zurich. Zurich is a paradise for vegetarians and vegans. There are so many restaurants offering vegan food and even several complete vegan delis and restaurants – which are very well visited. However, meat-eaters will also love the many options Switzerland and also Zurich offer. Read about my vegetarian dining experiences at Mövenpick Hotel Zurich here so when you visit Zurich as a vegan you will be pleased (and as a non-vegan you will also be pleased :). Tips for Solo Female Travelers: I often visit a friend in Zurich, but spend a lot of time on my own (and sometimes with my dog Puppygak). Zurich is one of the best places to travel solo as a female. 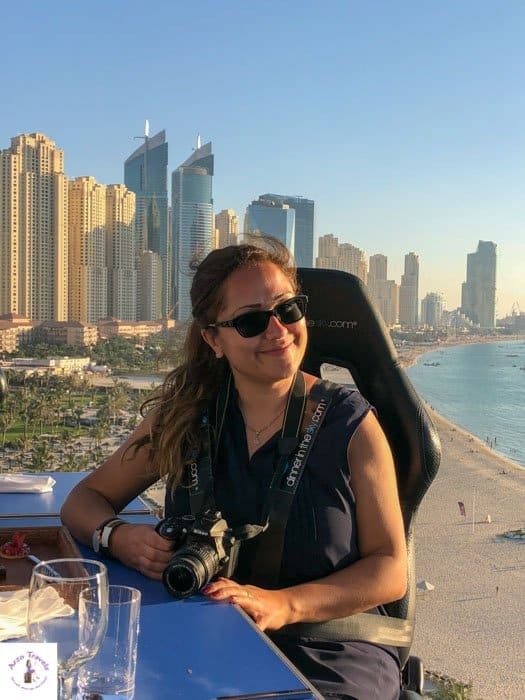 Though the Swiss people are not necessarily the most open-minded it is still easy to make friends and most important of all, I feel safe even at night and these recommendations can all be done as a solo female traveler. There is so much to do and see but I will just focus on: what to visit in Zurich and what to do in Zurich. Tips for 2-4 days in Zurich. 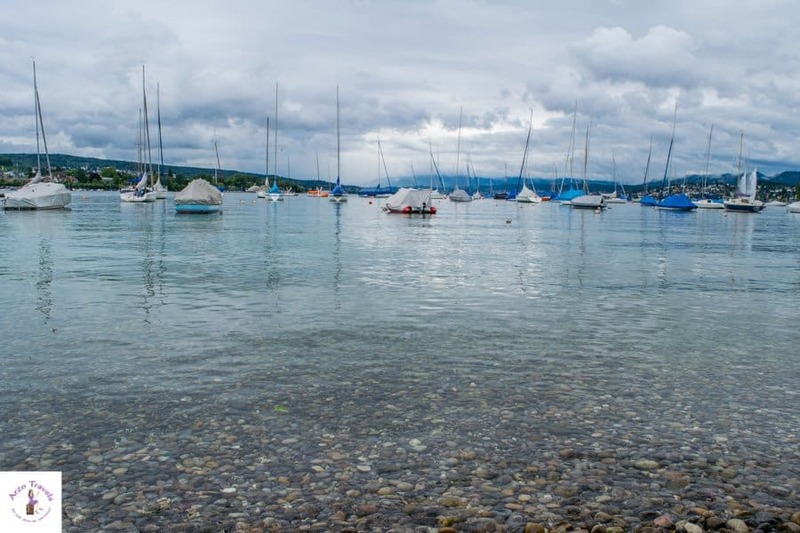 Okay, let´s start with the best activities in Zurich and start your day at Lake Zurich. If you start your day early in the morning you can easily see all my suggestions and even do a bit more – however, if you arrive during the day, then you will probably only be able to see #1-#4. Forget Dubai or any other place. When it comes to luxury, Zurich is the place to visit! Why? Though the Bahnhofstrasse doesn’t look overly fancy, the main shopping street in Zurich, the Bahnhofstrasse, is actually the most expensive shopping street in the world. Renting a shop there costs a fortune and though you will find some more affordable shops such as the main chains in the area you will also find a lot of luxury brands. It is an especially nice walk if you start at the train station and go towards Lake Zurich. Lindenhof offers a great view of the city and is of the best “Zurich places to visit” and is found in the old town on Lindenhof Hill – which allows you to soak in the view of the Limmatplatz or just to relax and chill. You cannot do any Zurich sightseeing without getting up here! After the little hike up here (3 minutes hike), it is time to do some strolling and lunch. 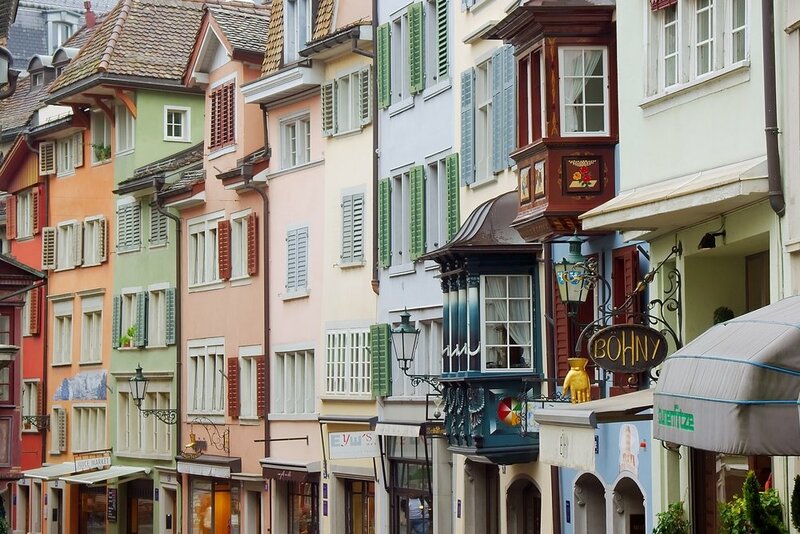 Before arriving at Lake Zurich, stroll the old town of Zurich. I love Zurich´s beautiful old city – it is very cute and is located between Lake Zurich and the train station and main shopping street (Bahnhofsstraße). It has a lot of cobbled streets which I love to stroll around and there are many cafes and restaurants too which makes it a great place to aimlessly walk around. Though it’s probably not the most beautiful old town in Switzerland it is still colorful with beautiful houses and is one of Zurich´s tourist attractions. I suggest having lunch here – there are many different restaurants that offer something for every taste. One area which has become one of my favorite places in Switzerland is the Opera House area. It is located close to Lake Zurich and the old town and it has free Wi-Fi. Since you probably all need Wi-Fi once in a while I am happy to tell you there are some chairs where you can sit with a beautiful view of the Opera and Lake Zurich and at the same time have free Wi-Fi. If you need to get something to drink or a snack, there are also some little stores where you can buy something. While you are already at Lake Zurich, I would suggest heading back to the old town and have your dinner there – however, if you only have one day in Zurich, make sure to end your day at Lake Zurich. Here are more top places to go and fun activities for day 2. On a warm day, swimming in the lake is a must, It is just a stone throw from Bahnhofsstraße and the old town to Lake Zurich. The lakes in Switzerland are pretty clean and it was in Switzerland where, for the first time as an adult, I voluntarily hopped into lake water. I must admit, though I still sometimes feel weird swimming in lake water, to me Lake Zurich is one of the places where I feel OK with it. The water is pretty clear and there you will find a lot of greenery and places to rest before hopping into the water. TiP: One of the best places to swim is close to the Rentenanstalt. If you walk down the Bahnhofsstraße towards Lake Zurich, turn right at Bürkliplatz and walk a few hundred meters (there is also a tram stop) so you get to enjoy a wonderful day at the lake – it is, especially in the summer, one of the best Zurich activities. Of course, I have to mention doing a boat tour on Lake Zurich. 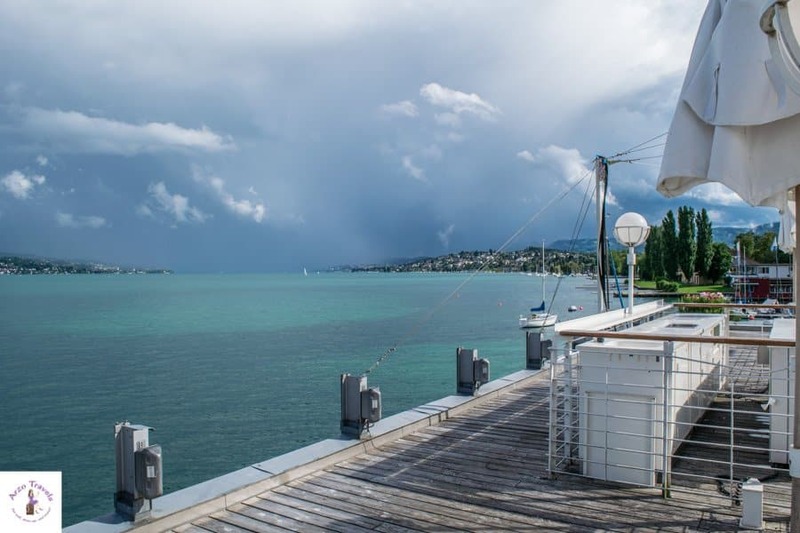 Here you have a few options, you can either do a short, medium or long cruise on Lake Zurich. 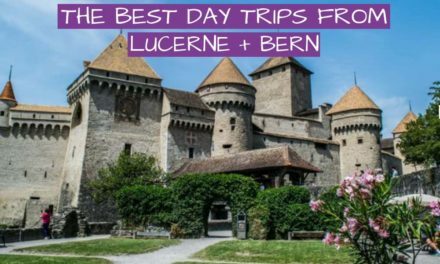 The short cruise is free with the Zurich Card at a charge of five euros and with the Swiss Travel Pass, you can do all of these tours for free (plus a surcharge of five euros). There are several stops where you can get off to have a break, just make sure not to miss the last boat back to Zurich Bürkliplatz! Here are a few more top places to see in Zurich. Personally, I think Zurich has some beautiful cafes. Actually, I think the cafes are one of the most beautiful in Switzerland, especially the ones around the lake. They are often very modern, pretty and colorful, though they can get quite busy after work when people have their after-work-drink there So, make sure to explore some cafes and why not try my favorite, Quai 61? Normally when I travel I tend to go home quite early, but one best thing to do in Zurich is to stay out a bit longer and end your day at Lake Zurich on a sunny day. There is always a lot going on with musicians playing beautiful music and lots of people walking around having a good time which creates a great atmosphere, so don’t forget to add this to your Zurich itinerary. Cannot get enough info about points of interest in Zurich? Then here are some more answers to your question: What to see in Zurich? For the third day, I recommend heading out and enjoy some great views. If you prefer hiking and great views, you will surely enjoy the Uetliberg (Uetli Mountain) as much as I do – there is a reason why this one of Zurich´s best attractions. Btw: if you are looking for my great mountain views in Switzerland (that come without any hiking) click here. It is the “house” mountain in Zurich, which offers the best views and if you are not into hiking you can also just take the tram up there. The views from up there are great and it is one of the best places to visit in Zurich. It probably isn’t a full day tour (unless you hike up and enjoy a picnic at Uetliberg, so here are a few more suggestions for day 2. If you are in Zurich you should definitely visit Rapperswil which is a very cute town on the shores of Lake Zurich. Because it is at the far end of Lake Zurich, and getting there fom Uetliberg by public transportation takes a bit more than one hour. If you do a long boat cruise which takes four hours in total, then you can get out there and spend a couple of hours seeing this romantic medieval town. While I understand that two days in Zurich might not be enough to explore all the suggestions here, you might have to prioritize – but if you enjoy cute, off-the-beaten-path towns and villages, this is your place to go. Are you wondering about more places to see in Zurich? Well, why not visit the Chinese Garden? For the last day in Zurich, I suggest taking it easy – enjoy some more good views and relax in the garden. The Chinese Garden is another favorite place of mine although I have only visited it once. Unfortunately, I have not had the chance to visit it since, but it is such a serene and tranquil place, well cared for and has lots of interesting architecture so I highly recommend it. The Polybahn is a funicular railway and it is actually one of the very very first things that I did in Zurich and it is one of the things I recommend you do in Zurich. My friend took me and it takes you up a small mountain, the university area, with a beautiful view of Lake Zurich and the Old Town of Switzerland. You should definitely visit here at least once! As it just a short journey up and is located pretty much in the town center it is very convenient. Just remember that there is no Polybahn service on Sundays but you can still walk up if there is no service and hike down which is quite easy. Switzerland in summer means visiting open-air cinemas and it is no different in Zurich. If you are taking your holiday in Switzerland in the summer, one of the best things to do is to see a movie in the open air. You could squeeze in all the activities in 3 days – I mean, yes, two days in Zurich is a minimum, three days is good, four days even better and if you like to do some day trips then 5 days or even more days is the best decision! 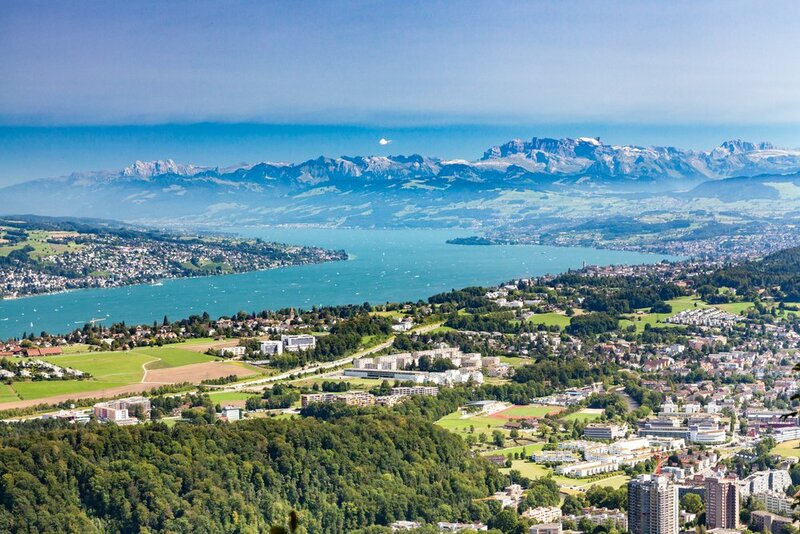 While there are many Zurich tourist places – they are also many places near Zurich which are great to visit! As much as I love Zurich, I suggest, visiting afew more places outside of Zurich. Though Zurich is amazing and I could stay there forever and still find new little things to fall in love with, I actually recommend doing a couple of day trips from Zurich whether it’s a trip to Lucerne, to the Rhine Falls, or a trip to hike up Ebenalp Mountain (Appenzellerland). Zurich is extremely popular in Switzerland – probably because it is one of the prettiest places surrounded by a stunning scenery. From Zurich, you can easily get to Lucerne – either by train or car (takes about one hour). Once you step out of the Lucerne train station you are already surrounded by the Alps, Lake Lucerne, and the cute old town. Snce Lucerne is smaller than Zurich, there is not that much to see in the old town itself (click here for my Lucerne travel tips) but Lucerne has some pretty amazing mountains you can visit. So, when in Zurich for 3, 4, or 5 days, you can surely spend one day in Lucerne. 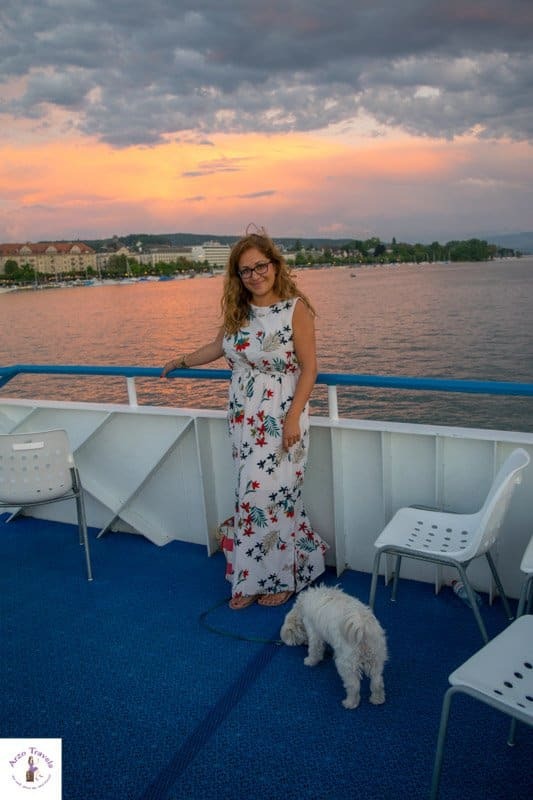 Click here to find my top tips for day trips from Zurich – there is a lot to do near Zurich and so do not only stick to the beautiful city itself. 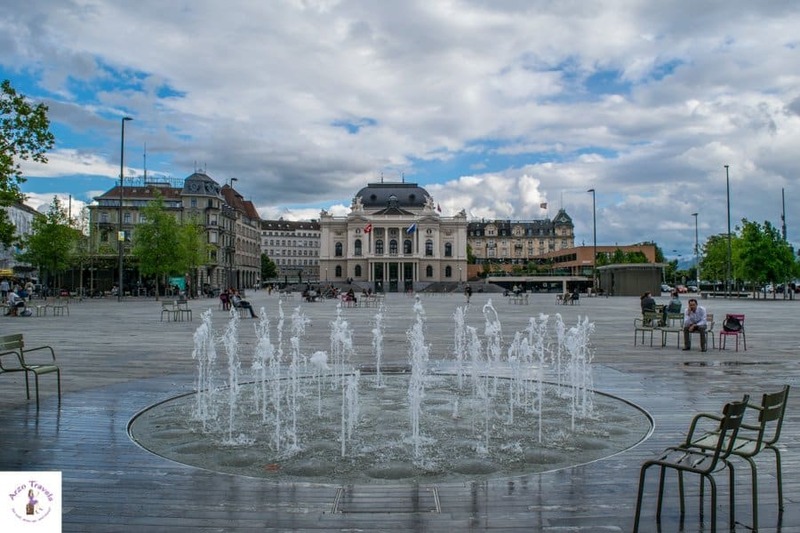 Zurich is a great base for many fun day trips – you can book some Zurich tours below and if you like to find out more about day trips ideas read my post about the best things to do near Zurich. Wondering about more beautiful places in Switzerland? Here are the most beautiful places. Looking for a perfect Switzerland itinerary? Here is a perfect 5-day itinerary for Switzerland. These were just a few of my recommendations for the top tourist attractions in Zurich. I hope you have a great time when you visit, just as I always do whenever I visit Zurich and let me know if I’ve missed out any of the great things to see! When it comes to tours and activities, I love GetYourGuide – to me, they are the best website for booking tours. In Zurich, many activities can be done independently, however, I often have a car and can drive to even remote places and am very flexible. If you like to book tours, you can choose some of the tours mentioned below. 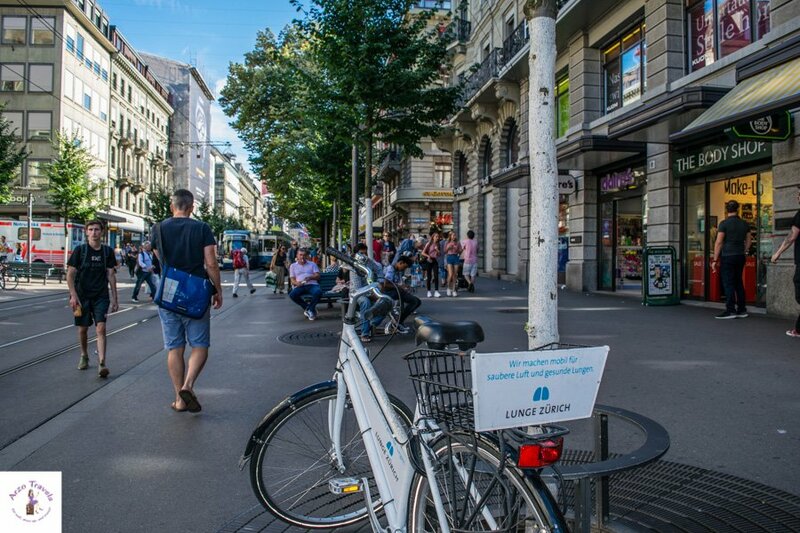 I hope, this post has helped you to find out about the best Zurich points of interest and you will have a great trip to Zurich.